Their tale is the making of an old Western. 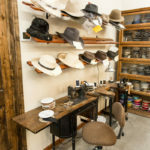 Eric and Emily Watson trekked across the country seeking work during the recession and planted roots in the town of Cave Creek by opening a hat shop. Eric is the master hatter, and Emily, the business manager who does lovely ribbon work on the ladies’ hats. 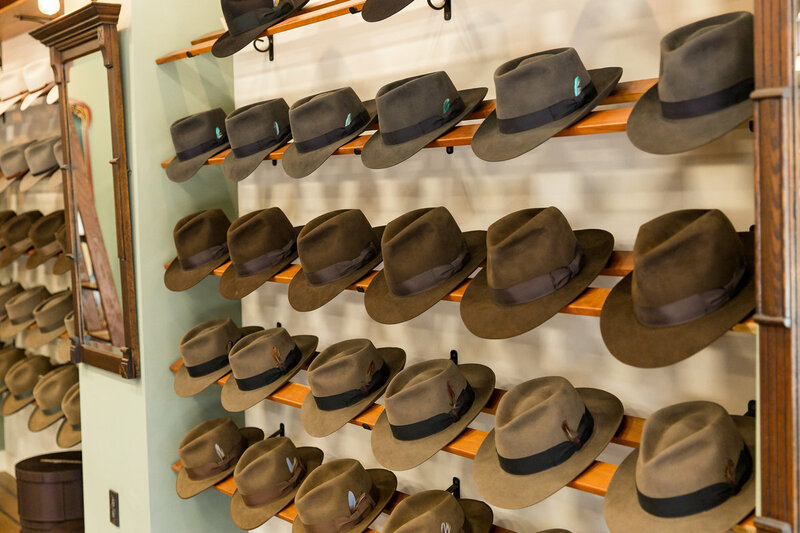 Both of their families helped grow Watson’s Hat Shop until it became so popular that a larger location was needed. Today, the Watsons are commercial pilots, with a head for business and a passion for hats. 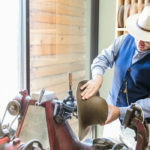 They use a nearly 200-year-old process to make their hats, and their shop, nestled in Stagecoach Village, is renowned. 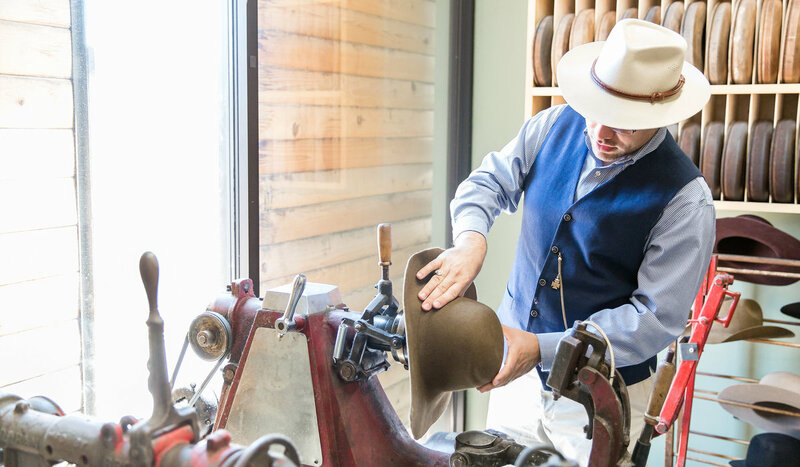 The Watsons are even the official hat maker for the Netflix Western series Godless. Family still helps occasionally, except for Uncle Brad and Derby, their greeter and shop dog—they work regularly. 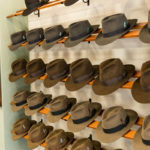 What inspired you to open a hat shop? Eric: Having graduated during the recession, it was difficult to find pilot jobs, especially in Ohio where we’re from. So, we moved to Arizona in 2011 for Emily’s flight career. Struggling to find happiness with the job I had at the time, I looked at my wife and told her I was going to take matters into my own hands by starting a business making hats. Now, Emily and I both run our business and make hats together. When did your love of hats begin? I got into hats and hat making when I was 12-years-old. I was, and still am, a huge Indiana Jones fan. I had to have a fedora just like Indy’s, and I didn’t want a cheap version that was of poor quality. My mom took me around to antique stores. 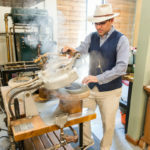 I used my mom’s soup pot to boil water for steam as I worked tirelessly to fix and shape those old hats to perfection. How did you become a master hatter? 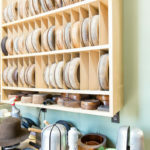 I reached out to some hat makers in the country, but very few took me seriously and were reluctant to share techniques. I learned a great deal from some of them, but most of what I know is self-taught by trial and error. You will feel transported back in time. Anyone can watch the hats being made. 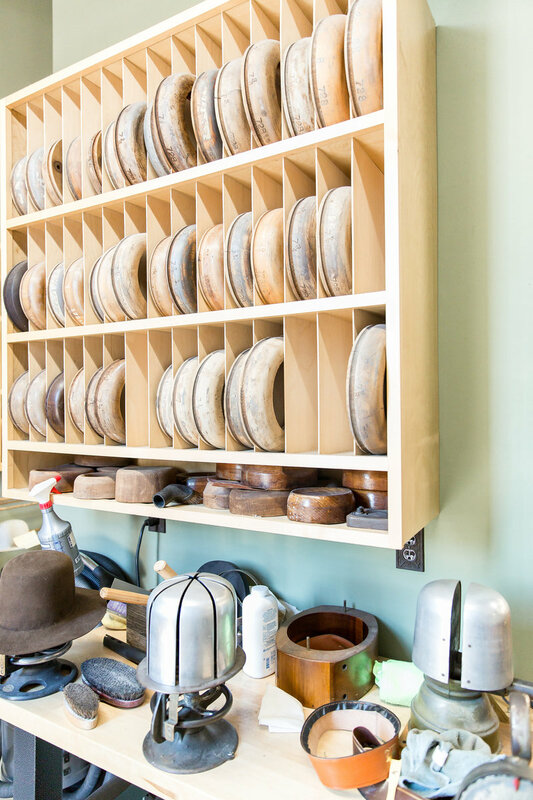 All of the equipment we use is vintage, from the sewing machines to the 1920’s hatter’s steam table. A hat is an extension of one’s character. 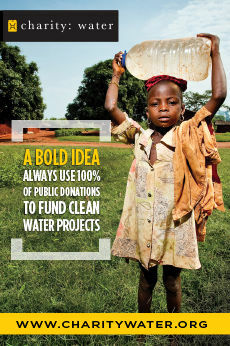 [A customer] can design what they truly want. 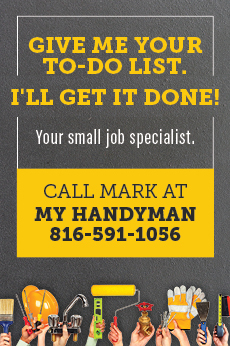 We can properly fit any head size or shape. 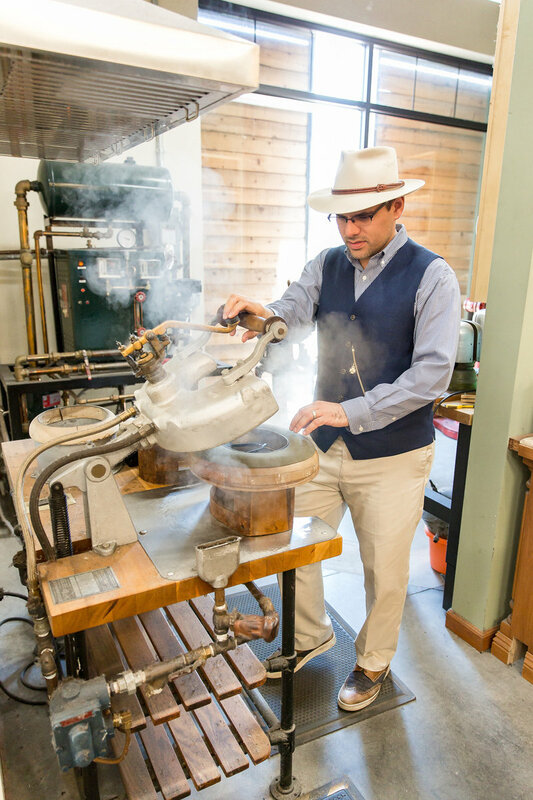 We also take a head impression with a 120-year-old device called a hatter’s conformateur. It’s fun! There’s a whole wall of demo hats. Once we narrow down the style and color, we measure, size, and pick out the accessories such as feathers, buckles, ribbons, and hat bands. It takes us about a week to make the hat. 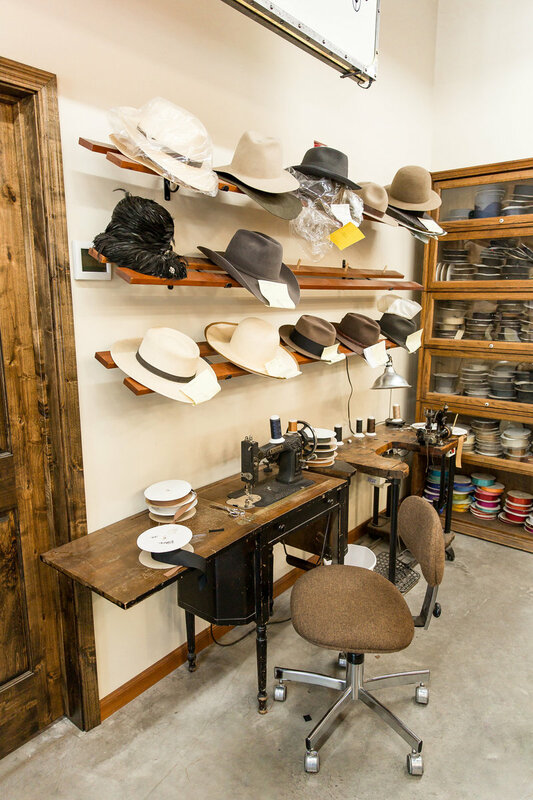 If someone has what we call a “hat emergency,” we can produce a hat in as little as 48 hours. Do you sell other name brands too? All the felt and panama hats are ours. 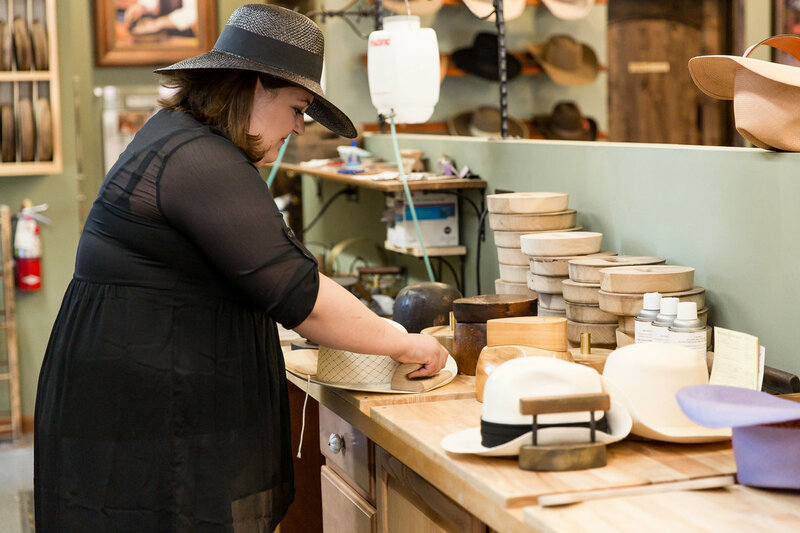 For the summer, we offer a variety of factory-made Western straw hats. This is a courtesy to the working cowboys and ranchers who are typically looking for a seasonal lighter weight straw hat to endure the hot summer months. 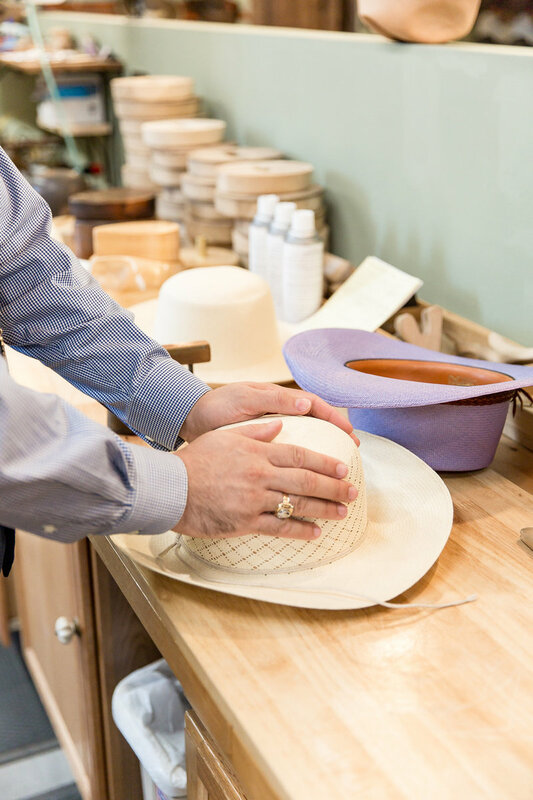 Customers bring in their hats to be cleaned, re-blocked, resized—you name it. It’s always a treat when someone chooses to honor their grandparent’s memory by cleaning and wearing their old hat. We’ve made hats for various celebrities and singers. 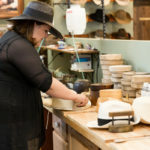 We also made the hats for the main characters on Netflix’s Western series Godless. It’s such a joy to be able to share the love of hats and hat making with today’s generation. It is important to keep lost arts alive.